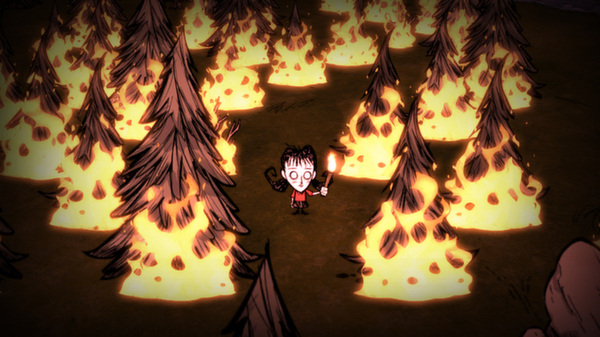 Don’t Starve is a very unique game that puts the player in the role of a scientist trying to survive in a completely hostile wilderness. The game mixes many elements from different genres to create a unique experience. 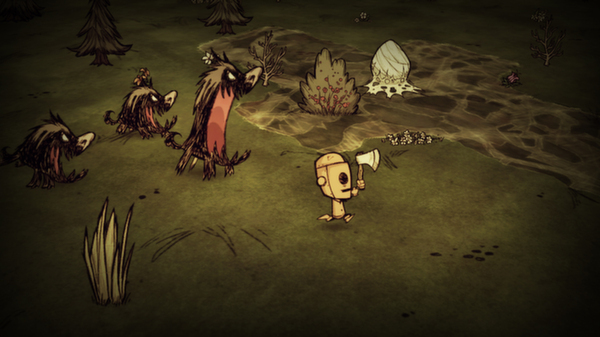 The distinctive graphics are something players will notice immediately. Although the game is truly 3D, most objects look like a flat paper cutout. The art very effectively catches the dark and uncertain mood of the game. 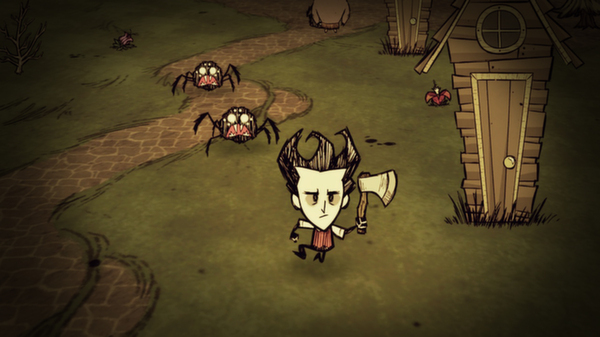 Players start in Don’t Starve with the sole goal of not starving to death. 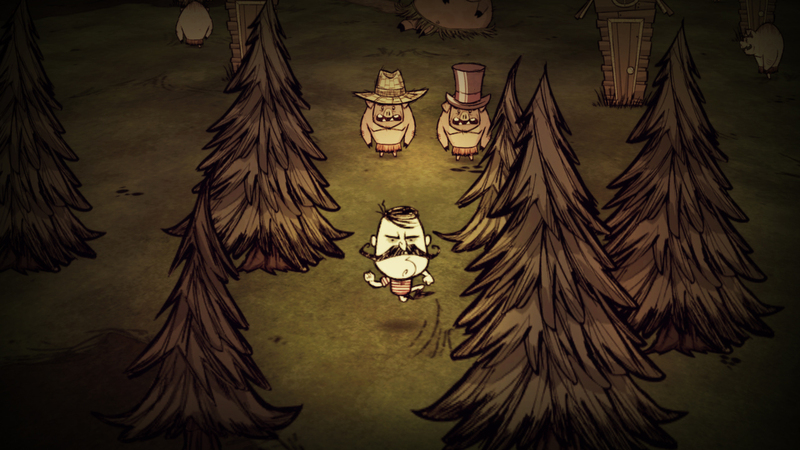 Players are free to walk anywhere in the game in order to find food. The game is divided into day and night. There are far more threats at night than during the day. 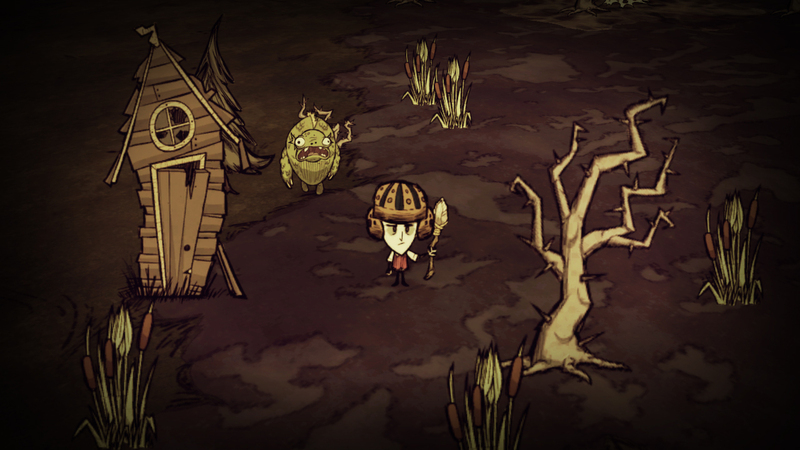 Players will spend most of the time during the day looking for food and gathering resources from the map like wood. 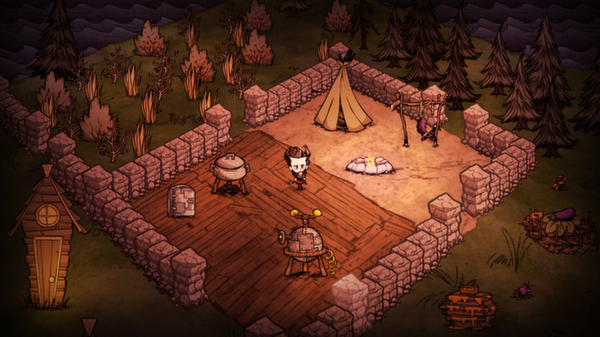 When night comes, players need to maintain a fire and eat. There are many different types of monsters in Don’t Starve. Several have unique behaviors making avoiding or battling the monsters challenging. Instead of simply finding equipment and weapons, the game has a crafting system. 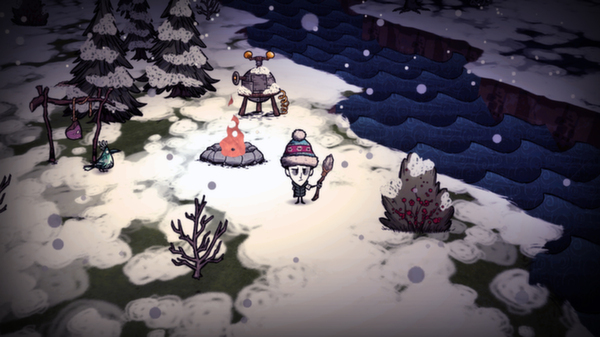 Players learn to create progressively more powerful or useful items over time from the resources in the game. Resources can be mined from the ground, retrieved from trees or claimed from defeated monsters. Killing spiders provides silk that can be used to make a garment. 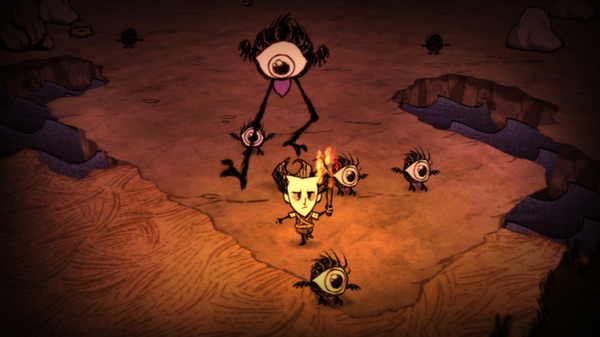 Don’t Starve also has a few unusual elements most players are not used to. Death is permanent. 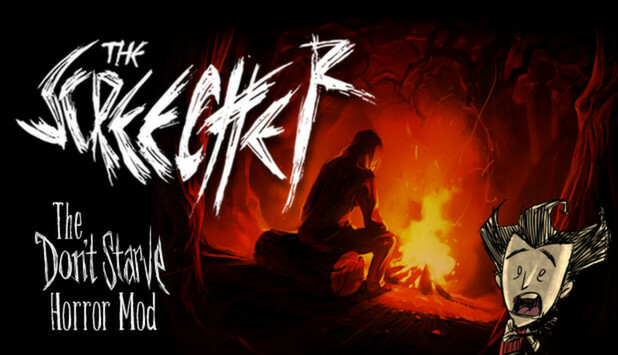 There are no ways to save games or resurrect characters. Additionally, nearly everything can kill the character. This includes standing in the cold, not eating and lighting a tree on fire. 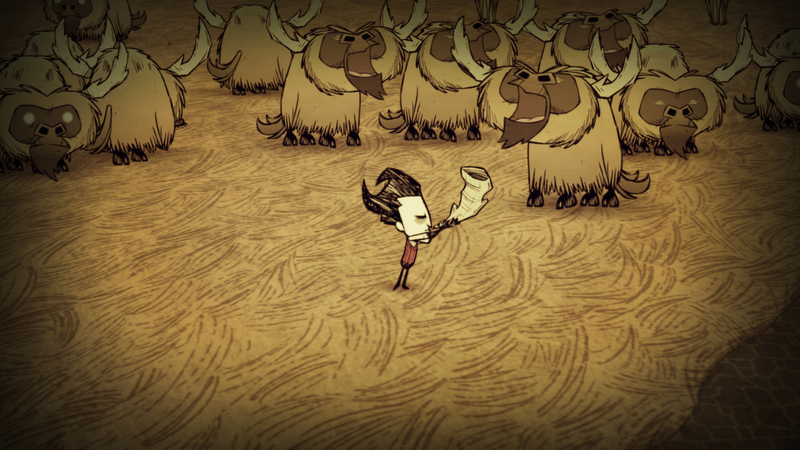 If the character dies, players must restart from the beginning without any of the perks, skills or items previously learned. The world is randomly generated every time a new game starts although the first part of play is largely the same regardless of the map. 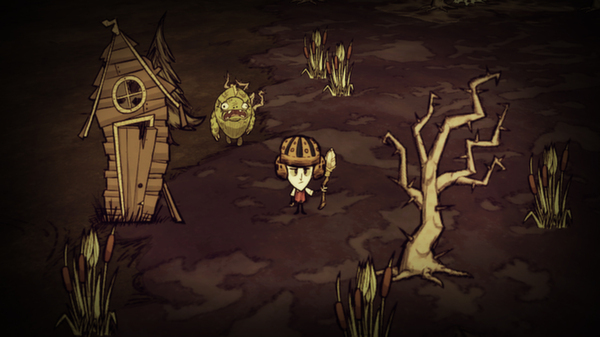 Don’t Starve is a fun and interesting game that can provide hours of very challenging play.